The light was fading fast. 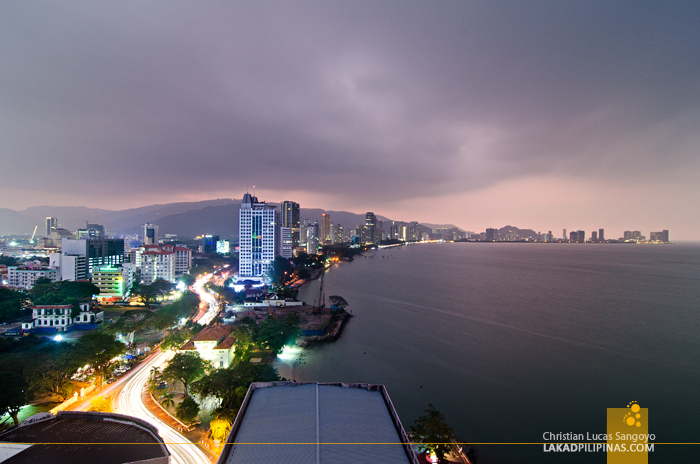 We watched from the 14th floor of our spacious balcony, transfixed as rain clouds slowly moved above the waters of the now darkening waters of Penang. We leisurely sipped our coffee, taking a few pictures every now and then, as evening fully sets in. 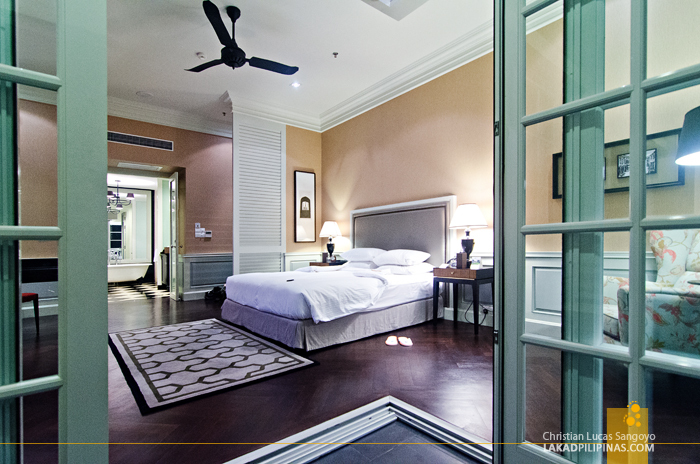 This was exactly how we pictured our five-day stay at Penang’s UNESCO World Heritage City of Georgetown. An hour or so ago, we touched down at the Penang International Airport from Langkawi. Hefting our backpacks with us, we boarded a bus, slowly crawled through the traffic-laden roads of the island, alighted, boarded another, and walked some blocks, eyes glued to our smartphone map. 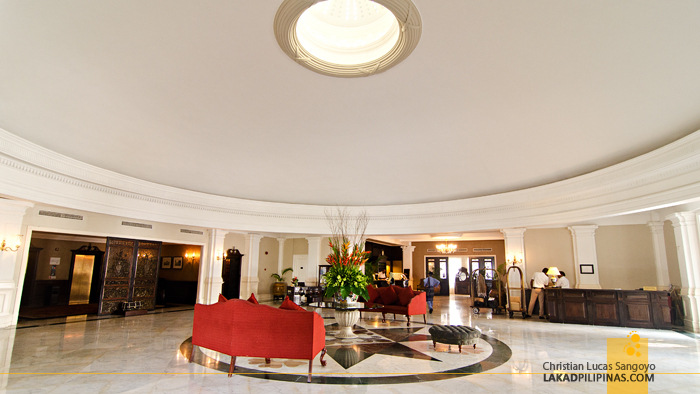 Exhausted and hungry, we finally arrived at our destination, the Eastern and Oriental Hotel in Georgetown. It was our second time in Penang. It was something we promised ourselves after our first trip in this historic city a few years back. 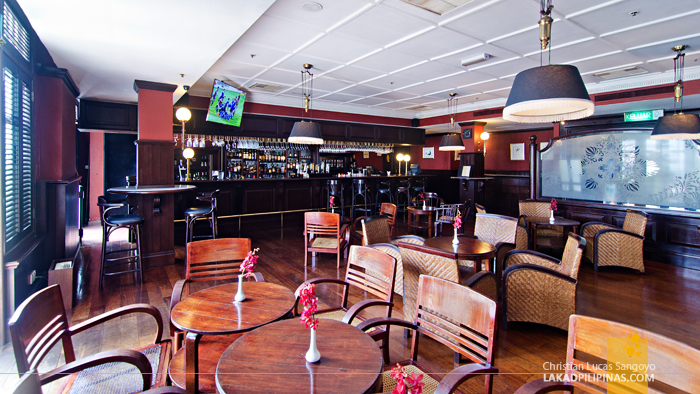 This time, we wanted to stay where the action’s at, Georgetown. 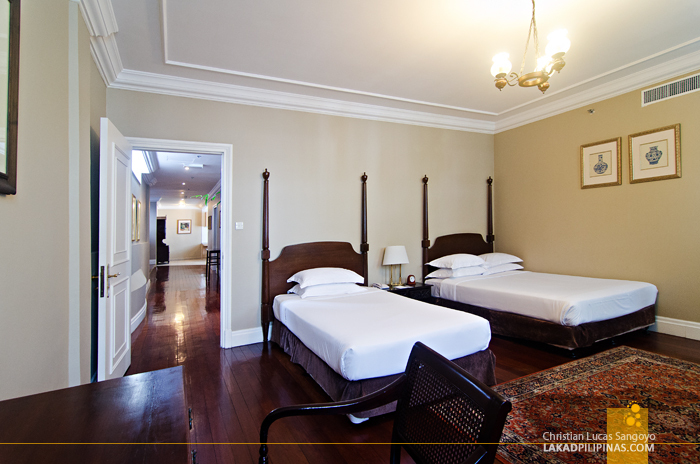 And Eastern and Oriental Hotel, E&O, as the locals call it, was the perfect place to bed down. The hotel is one of the most expensive in Georgetown. 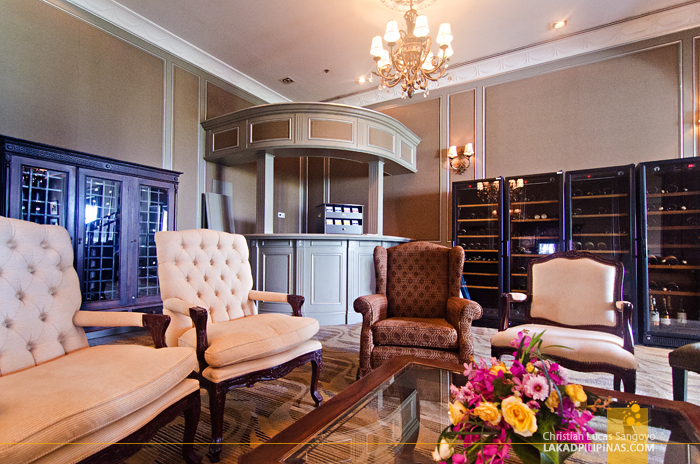 Established in 1885, is one of the oldest lodging in the area. 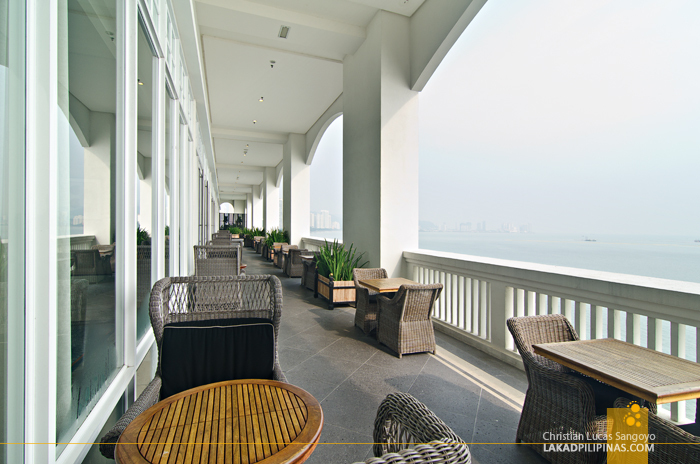 It distinguishes itself for housing the silent actor Charlie Chaplin, Singapore’s Lee Kuan Yew, German writer Hermann Hesse and English novelist Rudyard Kipling, along its roof during its century-long operation. But that was at the original wing of the hotel, and we’re not staying there. 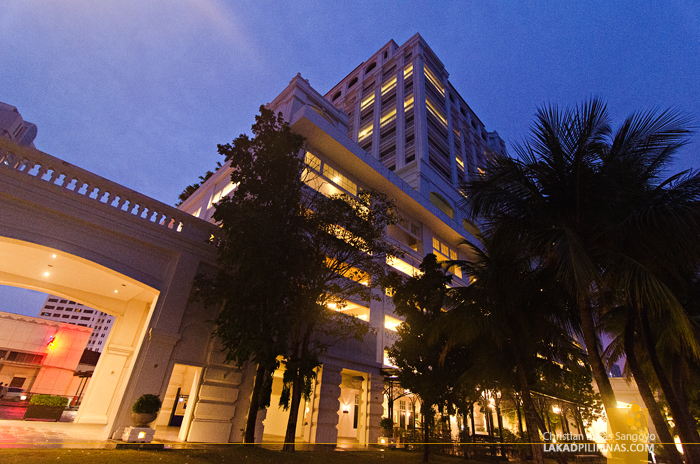 We’re lodged at their new wing, the Victory Annexe, a 16-storey building right beside the old one. While most tourists prefer to be billeted at the historic wing, we really didn’t mind being set at the new one, what with the view, amenities and all. We did check the rooms at the Heritage Wing, but somehow, we found it to be a bit too spare and somewhat creepy. While it is historically rich, I don’t think we could sleep that well with too much history in the room, if you get what I mean. Don’t get us wrong, the old building is beautiful and is still very well maintained—all its English colonial glory intact—we just wanted something more modern. 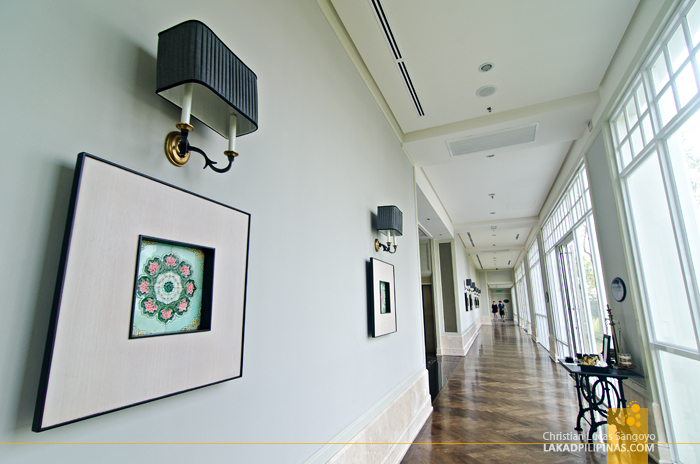 But modern at E&O doesn’t mean bare white walls with touches of minimalist art. 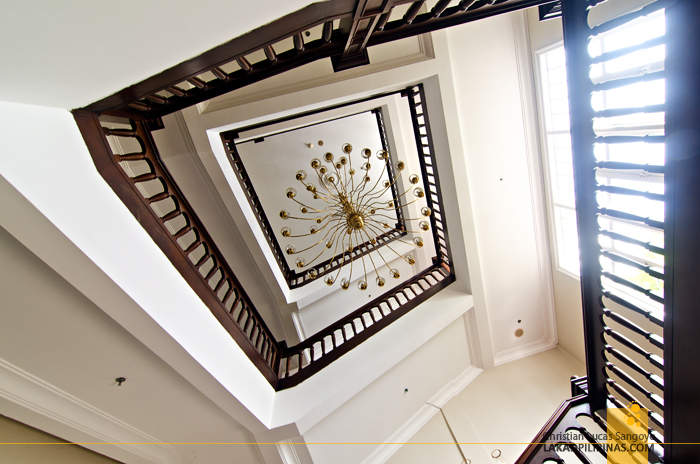 What E&O offers at their new wing is a combination of the old and the new. For three days and two nights, we stayed at their Studio Suites [CHECK ROOM RATES & AVAILABILITY], and its design reflects that of its original counterpart. Its walls and ceiling are set in soft light tones, the floor contrasting it with its dark wood parquet. 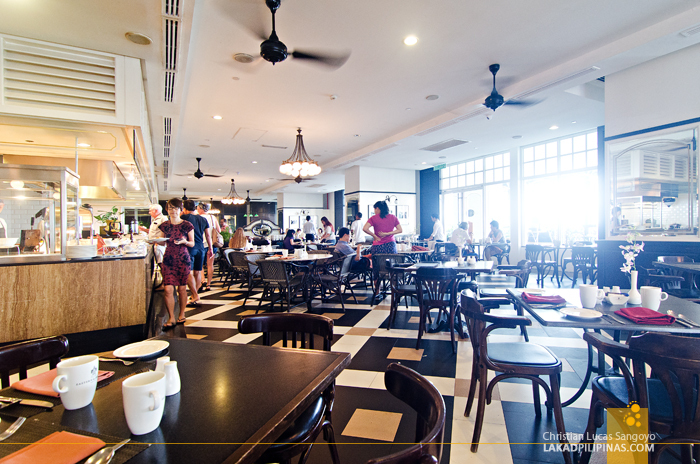 The usual classical trimmings are present, so is the presence of a graceful lamps and ceiling fan reminiscent of Penang’s colonial days. 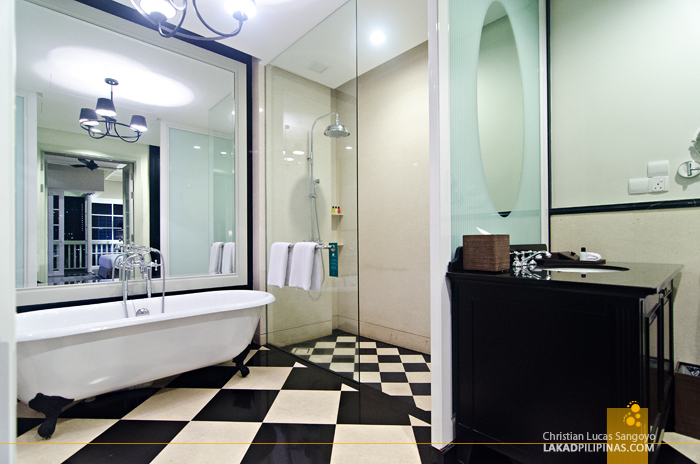 On one side of the room is the spacious toilet and bath, its floor checkered in black and white tiles with two sets of lavatories, separated toilet and shower area, and a central clawfoot bathtub. 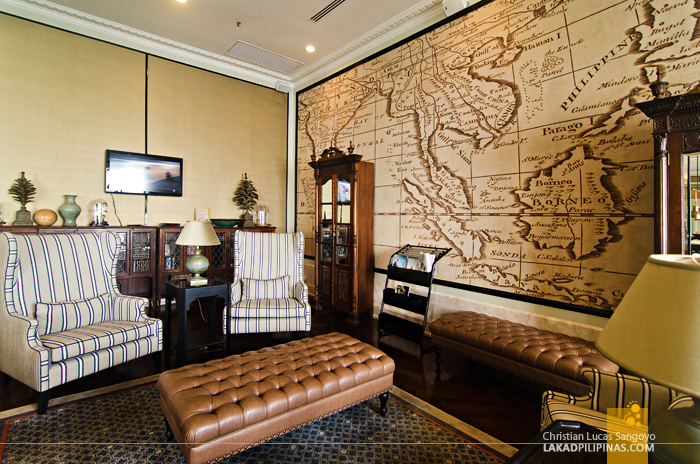 It is colonial splendor at its finest, only, the fittings are all conveniently modern. 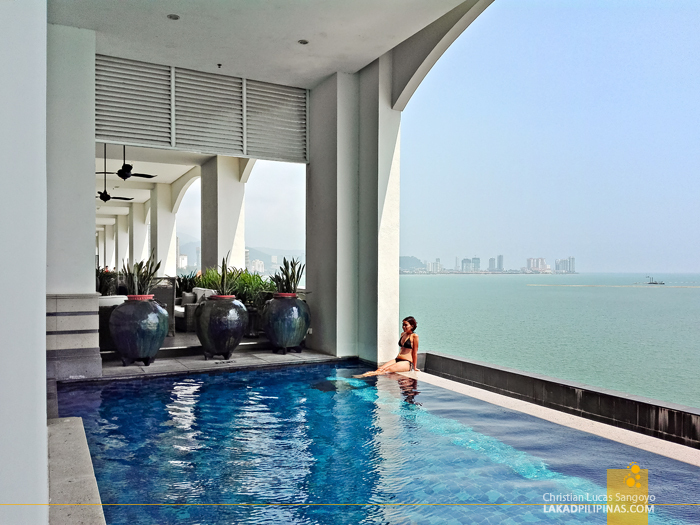 My favorite part of our room, as you probably would’ve guessed by now (if you’re a regular reader, lol), is the open-aired balcony overlooking parts of the city and the expansive waters of Penang’s Selatan Strait. From there, we saw Georgetown’s Old Protestant Cemetery, one of the places we missed during our previous visit. Breakfast is, of course, complimentary as with most hotels. 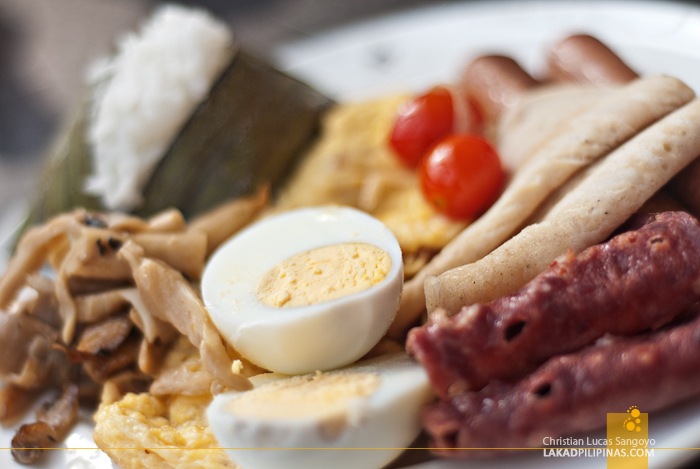 And what a breakfast it was! We woke quite late the next day, blame it on our flight and the super comfy bed, and the Sarkies restaurant, named after the hotel’s founder, was filled to brimming when we arrived bleary eyed. 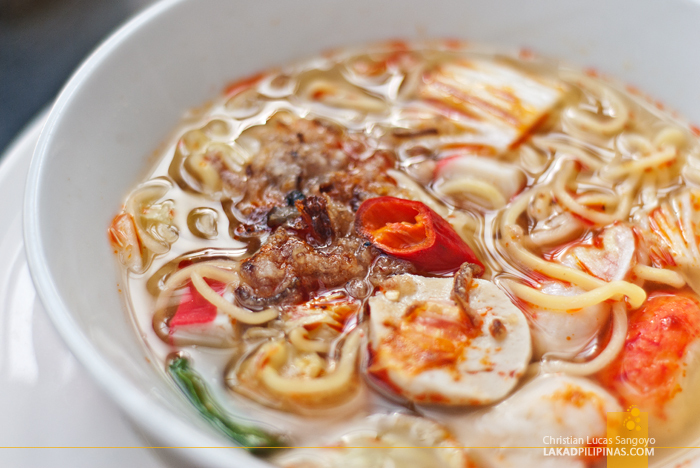 They have all the usual western comfort food, Penang specialties like laksa noodle soups and char koew teow, plus bacons! This is, however, a halal place so their bacons are made from beef. It’s not as good as pork but it is good enough. 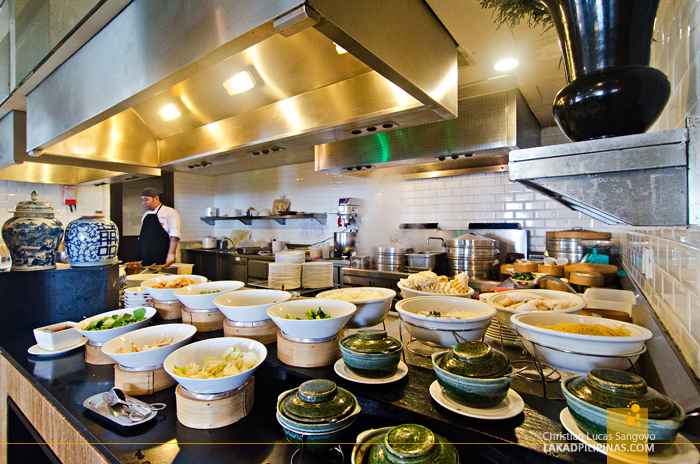 We loaded up on carbs as we prepared for our Georgetown walking tour later that day. After walking around the area, we went back for some afternoon tea at the Victory wing. The set consists of pastries, cakes and other dainty stuff English people eat as snacks. 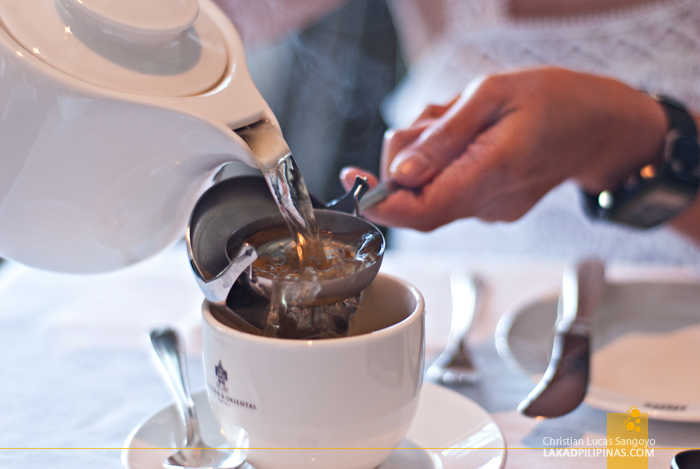 And there’s tea, of course, the loose type. It’s a bit too English for me, but I did enjoy their pastries. 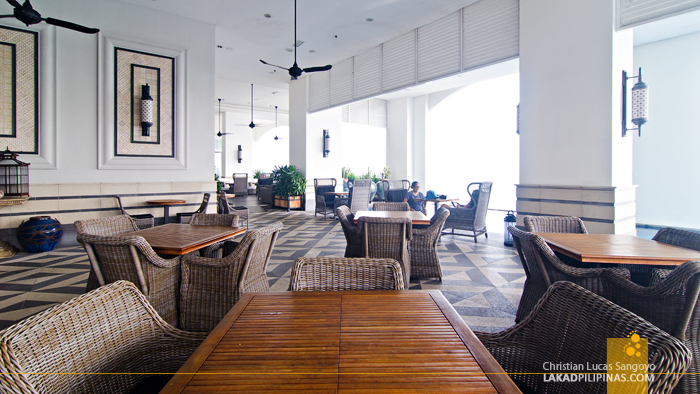 One of the places we frequented during our stay at E&O was their pool area, located on the fifth floor. It sits right beside the executive Planters Lounge, where they serve not so English snacks and unlimited beer every afternoon (now that’s more like it, lol). We usually bring our laptops at the open-aired pool lounge area to work, they have reliable and superfast Wi-Fi by the way (say hello to the newest episodes of Game of Thrones! 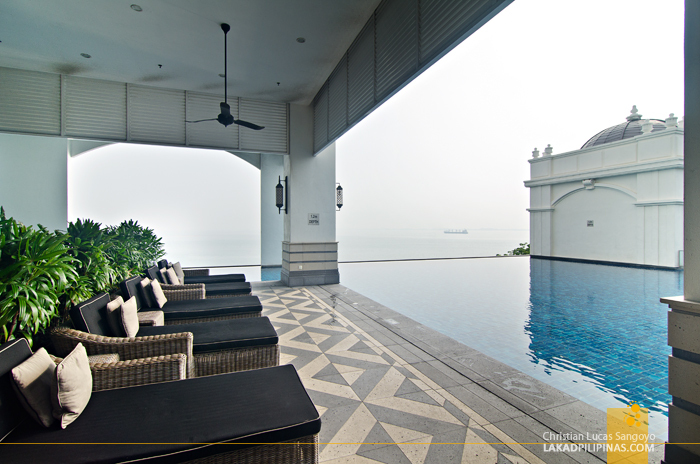 ), and swim about at their gorgeous infinity pool overlooking the waters of Penang. 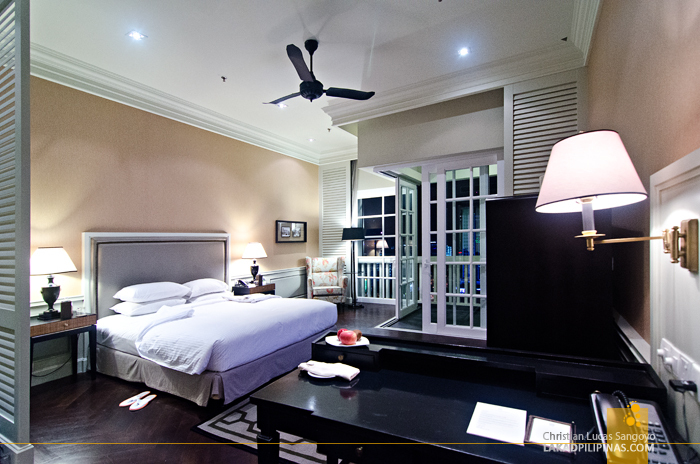 Our stay at Penang’s E&O Hotel was as splendid as can be. Too splendid, unfortunately, that our original plan to fully explore the historic streets of Georgetown didn’t quite materialize. 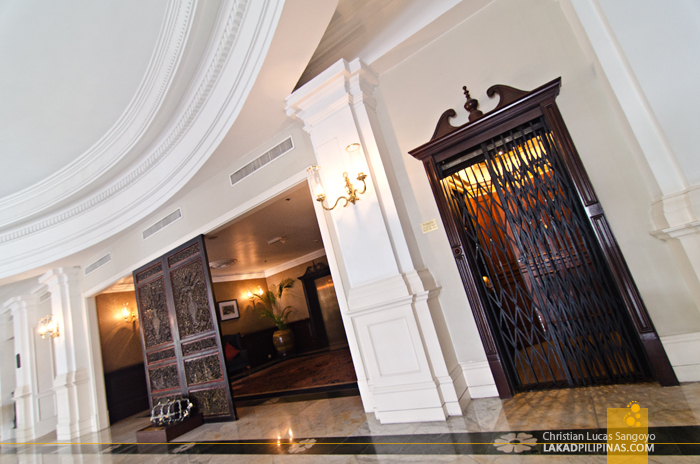 The hotel was just too beautiful that we mostly stayed inside its premises; we need to go back to Penang once again! Bloody hell, as the English so eloquently put it.